A seismic shift occurs in the data management world in May 2018 when the General Data Protection Regulation becomes law in the European Union. All organizations with information about European residents must comply with new, strict rules about how personal data is stored, secured, used, transmitted and even erased from their systems. According to Eurostat, 81% of Europeans feel they don’t wholly control their online data and 69% worry that firms might use their data for purposes other than those advertised. The European Union’s General Data Protection Regulation (GDPR) states that individuals have the right to ensure their personal data is private and protected. According to PwC, 92 percent of multinational companies cite compliance with the looming GDPR privacy regulations as a top data-protection priority. More than three-quarters of organizations have allocated over a million dollars for related compliance reports, with nearly ten percent planning to spend more than ten million dollars each. So why is everyone taking GDPR so seriously? Because penalties for GDPR violations are costly, amounting to the higher of twenty million euros or four percent of worldwide sales for each breach of the new regulations. European regulators demonstrated their commitment to enforcing EU data regulations with the 2.4 million euro fine they levied against Google in June 2017 for anti-competitive search-engine practices. To meet GDPR requirements, you must be able to answer these difficult questions for any of the more than 500 million people in the European Union. But GDPR demands don’t end there. You must know when and where breaches occur and what data was taken. You have to give people a way to view their personal data and how it’s being used. And perhaps most importantly, you must be able to prove to regulators that you are in compliance with GDPR requirements. GDPR rules are the most far-reaching and technically-demanding personal data privacy regulations ever established. This high degree of visibility and enforcement provides an opportunity for organizations across the Continent. Enterprises that embrace the new GDPR regulations and provide transparent tracking of personal information have a big opportunity to win the hearts, minds and business of consumers. In modern organizations, personal data resides in many applications that span servers, data centers, geographies, internal networks, and cloud service providers. GDPR holds you accountable for that data regardless of where it is stored. And it requires you to be able to access, report and remove personal information from all those systems when required by consumers or regulators. To satisfy GDPR requirements, you must be able to track the movement, or lineage, of a contact’s personal data—where it was first acquired, whether consent was obtained, where it moves over time, where it resides in each of your systems, and how it gets used. 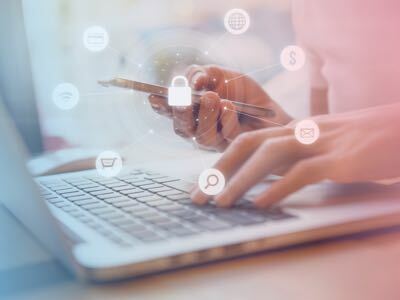 The connections among those systems and silos are key to tracking the complex path that personal data follows through your enterprise. Personal data seldom travels in a straight line and instead follows an unpredictable path through the enterprise. That path is best visualized as a graph, so it’s not surprising that GDPR personal data problems are best addressed by a graph database. Graph technology is designed for connected-data applications like GDPR in which data relationships are as important as the data itself. Follow these steps to build your organization’s GDPR solution using the Neo4j graph database as its foundation. Identify all enterprise systems that use or could potentially use GDPR-regulated personal information. Document where and how those systems store personal data. 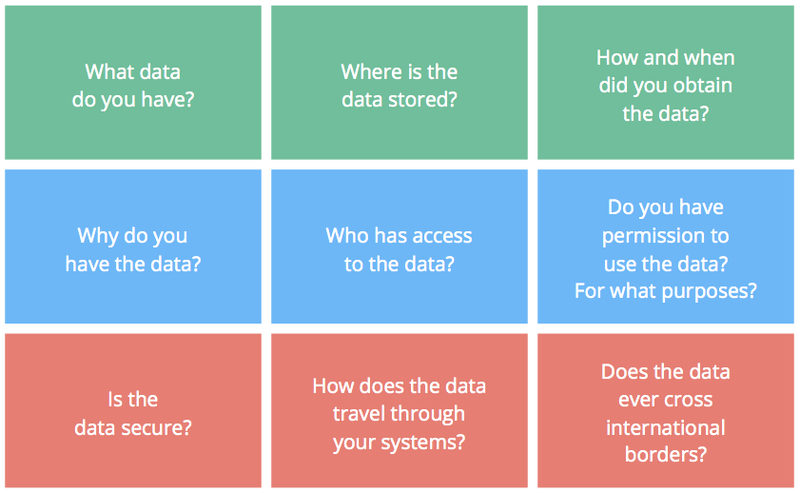 Build a logical model of personal data elements, and how and when they flow across your systems. Define system connections including metadata that describes and quantifies them. 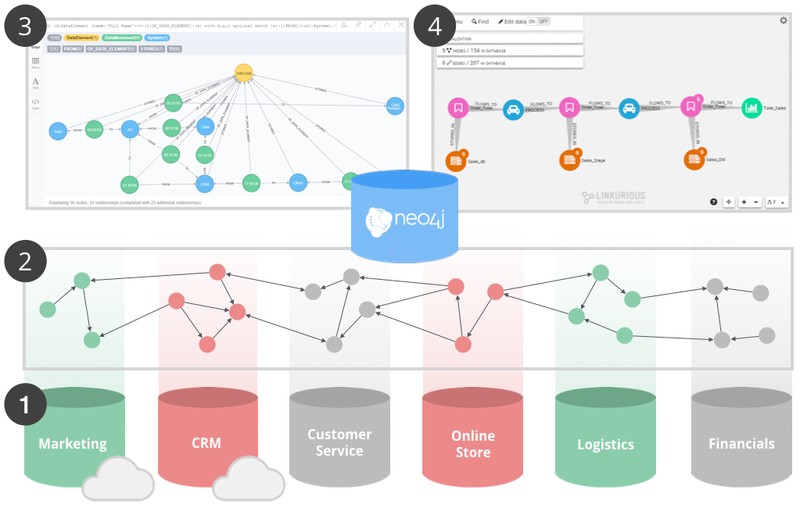 Using your logical data model, load your data into Neo4j. Then develop and test your solution by creating simple queries that address the personal data requirements of GDPR. Use Neo4j and third-party visualization tools to display the flow of personal data across your systems. Answer questions quickly about how it is being used by your organization. European Union regulators are dead serious about protecting the privacy of its citizens’ personal data. The new GDPR regulations that take effect on 25 May 2018 apply to all EU and foreign organizations handling personal data of EU residents, and they mandate strict compliance and call for steep fines for privacy violations.